Wearing team colours won’t help you ride like Lance Armstrong, any more than putting on a Man United shirt helps you score goals like Wayne Rooney. 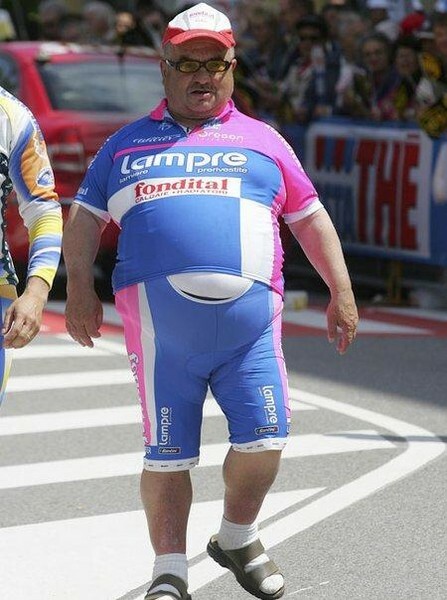 It doesn’t matter who you are or what shape you are in – Lycra is not flattering. Try lifting your head and sniffing the air instead of the bum crack of the cyclist in front. 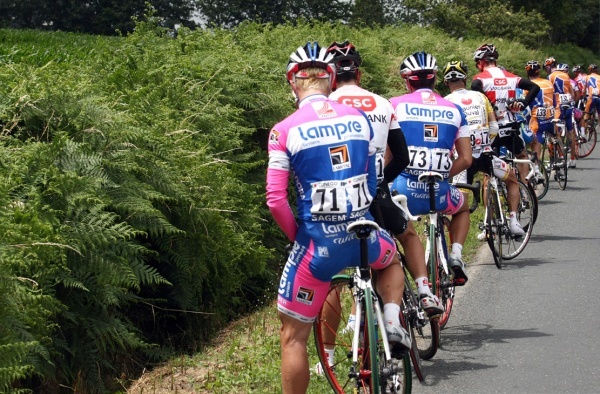 Having a cycle that weighs less than a bag of sugar won’t help you win le Tour de France. Fitting a bell will not interfere with the delicate balance of your cycle. Pavements are meant for pedestrians. The UK road network is designed for motor vehicles. If you’re going to use it, abide by the rules. You know those mysterious boxes with red, amber & green lights? Those are traffic lights. Yes, they apply to you too. Ride in single file on narrow or busy roads and when riding round bends – like the Highway Code instructs you to. Since you don’t pay Road Tax or have third-party insurance, get out of my way and use the cycle lanes provided. Public urination is just that. Calling it a “nature break” doesn’t make it any less disgusting and unsanitary. Take a car if you want to get somewhere quickly without dripping and stinking of sweat. I’ll leave you with some considered words from someone I’d never heard of before, but for whom I now feel a close affinity – ESPN commentator Tony Kornheiser. The last time I looked, the roads were made for automobiles…We’re going to be dominated as if this was Beijing by hundreds of thousands of bicyclists…They all wear … my God … with the little water bottle in the back and the stupid hats and their shiny shorts. They are the same disgusting poseurs that in the middle of a snowstorm come out with cross-country skiing on your block. Run ’em down…Let them use the right, I’m okay with that. I don’t take my car and ride on the sidewalk because I understand that’s not for my car… Why do these people think that these roads were built for bicycles? … They dare you to run them down. This entry was posted in General, Rant and tagged cycles, cyclists, Lance Armstrong, MAMIL, Tony Kornheiser, Tour de France by djh. Bookmark the permalink.